Albert Salman is a global sustainable tourism expert from the Netherlands, with an academic background in coastal ecology and environment. He established the QualityCoast Awards program (2007) and Green Destinations (2014), a non-profit organisation with expert partners in 30 countries. 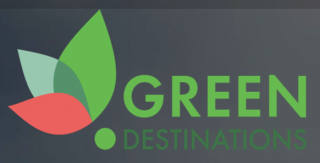 Together with partners, he created the first Sustainable Destinations Top 100 competition, the Green Destinations Standard, and the online Green Destinations platform for sustainability and quality assessment, monitoring, reporting and certification. On a day-to-day basis, Mr Salman is supporting destinations that are committed to sustainability.